Our agency is dedicated to providing our customers with a personalized experience in order for them to achieve their goals and objectives in their real estate sale or purchase. Todd is a lifelong resident of Washington , Kansas. His family has been in Washington County since the late 1800s. He lives with his wife Laurie in Washington. His family owned the Washington County Livestock Auction and he grew up in the industry with a strong background in farming. He has been a realtor for several years and is a licensed real estate broker. He is a collector of antique firearms and has a curios and relics license . If you are needing an appraisal of farmland or antique items, including firearms, he is available to assist you with this service. Ethan is also a lifelong resident of Washington. A graduate of Kansas State University, he has a degree in Animal Science and has also graduated from the World Wide College of Auctioneering. He qualified in the top five livestock auctioneers in the State of Kansas in the year 2015 and has conducted auctions throughout the Midwest. He is knowledgeable in the agricultural and livestock industry. 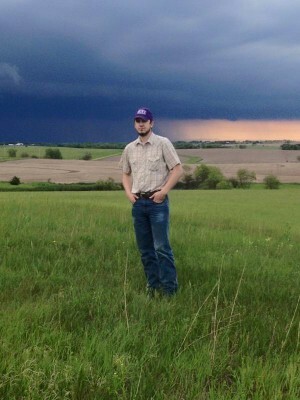 Ethan is a member of the Kansas Auctioneer Association . He is here to consult with you regarding your real estate and auction needs. Laurie grew up in Overland Park, Kansas. She moved to Washington in 1995 when she and Todd married. She has several years of experience in insurance and has also been employed in the law field for over 20 years. With more business background being committed to customer service, she will put this knowledge to use for you by simplifing the real estate process. For first time homeowners this is often an unfamiliar and overwhelming experience. She welcomes the opportunity to help them navigate the largest financial transaction of their life.